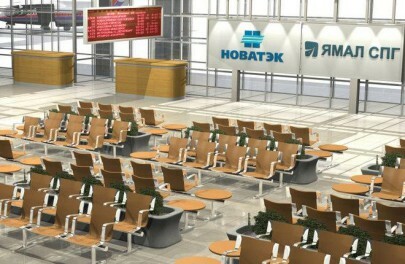 Sabetta Airport, located in the arctic region of Yamalo-Nenetsk, received its first international flight on March 4. The aircraft delivered four people to Sabetta from Beijing. The plane headed to Moscow the next day. Border-crossing and customs point became functional in seven months after Sabetta opened for operations. The airport will service both passengers and goods. Sabetta Airport was built to service the South Tambey onshore gas field. It accepted its first flight in December 2014. The airport is preparing for serving personnel and equipment delivered from outside Russia, mostly from China and France—20% of Yamal LNG, which operates the gas field, belongs to French company Total, another 20% – to Chinese CNPC. Last year, Sabetta served 127,700 passengers and 1600 ton of cargo.